If you do not like Nathang Valley, you would not like paradise. Located at an altitude of 13,500 feet, this lush valley was the home to traditional yak herders who came from Tibet. Few streams crisscross the valley, and prayer flags flutter on the mountain edges on this vast plain of nothingness. Nathang Valley appears in different colours in different times of the year. In autumn it looks golden when the grass dries up, in rainy season it’s covered in flowers and in winter it is buried in 5 feet of snow. Nathang Valley is also visited by migratory birds just before the onset of winter. There’s a monastery, a temple and a small bridge over a small stream in the distance dotting the valley. There are some nice newly-built, well equipped modern homestays at Nathang Valley, which offer basic but comfortable accommodation with the very essentials like hot meals, hot water, comfy beds, room heaters, attached western bathrooms, 24-hr electricity and endless supplies of blankets. Nathan falls in the middle of the Silk Route circuit and is the most scenic place to stay. It is also nearest (just 20 mins) to the best sunrise view points like Lungthung and Eagle’s Nest Bunker. There are numerous trek routes from Nathang too. We are proven to be the best taxi service provide for Gnathang / Nathang Valley sikkim. We provide taxi services from Gangtok to Gnathang / Nathang Valley at cheap and best price. We also provide taxi services from Zuluk, Rongli, Aritar, Kupup to Gnathang / Nathang Valley at best price. 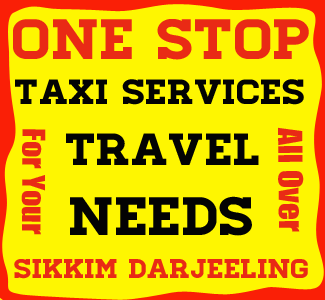 Contact us for best taxi tariff from gangtok to Gnathang / Nathang Valley Sikkim. We also provide packege tour over Gnathang / Nathang Valley. For Indian tourist there are two route through which you can reach Nathang Valley Gangtok and Rongli. Foreigners striclty arenot allowed to visit this area. Gangtok to Nathang Valley : 69 kms. Kupup Lake to Nathang Valley : 10 kms. Zuluk to Nathang Valley : 23 kms. Rongli to Nathang Valley via Zuluk: 53 kms. Due to its advantageous location, many hotels and lodges have come up in and around Nathang Valley catering to varied tastes and budgets. Foreigner : are striclty arenot allowed to visit this area. Best time to visit Nathang Valley is during the months of March, April, May, June, October, Nov. However the roads are open through the years. The may remains closed during the months of Jan, Feb due to heavey snowfalls.